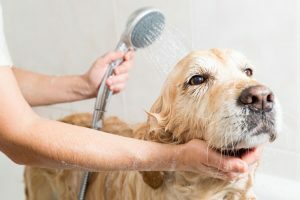 Pet grooming is an important part of raising a healthy, happy dog, but it is not simply just bathing, shaving, and trimming the fur. There are six dog coat types with different care needs that must be met in order for the dog to look its best. The six dog coat types are the following: smooth, wiry, curly, long, hairless, and double coat. 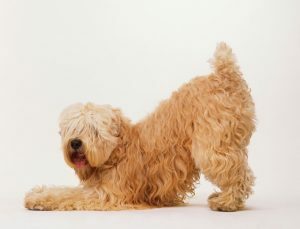 The last type is usually the most difficult to deal with, especially if the dog has a particularly thick undercoat. You must not attempt to trim or shave the hair yourself because the dog will be prone to sunburn if not done properly. So, how do you groom a double-coated dog? That’s where a professional pet grooming service can come to the rescue. Some of the popular canine breeds with double coats include the following: collie, Belgian malinois, golden retriever, labrador retriever, akita, husky, Alaskan malamute, chow chow, toy pomeranian, shiba inu, corgi, Newfoundland, Saint Bernard, terriers, shih tzu, Samoyed, and most spaniels. If your dog is a mixed breed, you can ask your veterinarian to identify what type of coat it has. It’s not a good idea to shave your dog’s coat at all unless it has to undergo surgery or if the fur is severely matted that even trimming or brushing won’t work. Although some hair will grow back, the texture and thickness are altered, while others will have bald spots for the rest of its life. What’s more, they could also develop sunburns, dandruff, and scaling. Even during the hot days in Singapore, your pet’s double coat is as helpful as when it’s exposed to cold temperatures. To groom pet with a double-coat, start by brushing the entire body to remove tangles before bathing. Pet grooming in Singapore should be ideally done every 12 weeks, but you need to bathe the dog at home once a week if it’s molting. If you’re taking the dog to a pet groomer, make sure that he/she knows how to care for a double-coated breed. 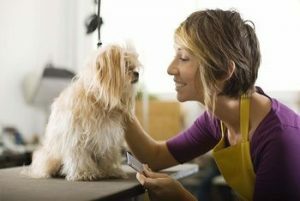 Observe the process and ask about the products used on the dog such as the contents of the shampoo. Avoid applying a conditioner for a dog with this type of fur. After rinsing thoroughly, the dog’s hair is towel-dried before a hair dryer is used. Drying should be done with the consideration of the coat growth. Once the coat is dry, the groomer has to brush the hair with a slicker brush first, then a wide-toothed comb. Again, the direction of the strokes should be based on the coat growth and the lines of the body. Before the dog leaves the grooming table, the staff should check the dog for deposits on the eyes and ears. Before brushing to remove the mats and tangles, spray a light mist on the coat to prevent breaking the hair shaft. Brush your dog’s hair before groom pet to remove tangles on areas where matting is common, such as the tail, stomach, chest, and the backs of its legs. Remember that double-coated dogs shed their coats twice annually, that is why you need to remove the loose undercoat with a brush. Don’t forget to inspect the ears for any sign of infection especially after pet grooming. Regular grooming can sometimes cause irritation on the ears, that is why you should clean it once a month with a veterinarian-approved solution and cotton balls.